Manufacturer : Adidas. Material: 100% Polyester. Once an order has been placed, it cannot be cancelled or altered. Machine wash, tumble dry low. Heat-sealed graphics. Round drop tail hem. Item arrived as described. Fast shipping. Thanks. Thank you for an easy, pleasant transaction. Excellent! A+++!!! as described quick shipping Thanks ! 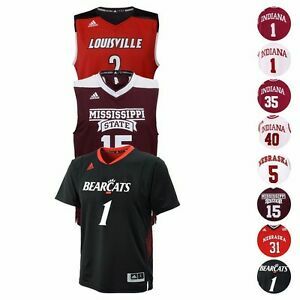 Great Jersey at a great price! Thank you!